Restore your smile with dental implants by filling in the gaps where teeth are missing. Dental implants are a durable and long-lasting option for replacing missing teeth and their roots. When covered with dental crowns, dental implants look and function just like regular teeth. No one will be able to tell the difference between the implants with crowns and your natural teeth. Dr. David Campbell is your White Lake, MI, general dentist for dental crowns. Dental implants are metal posts placed below the gum line for anchoring artificial teeth in place, similar to how tooth roots support natural teeth. Dental implants can be used in conjunction with dental crowns or bridgework to replace either a single tooth or several teeth. 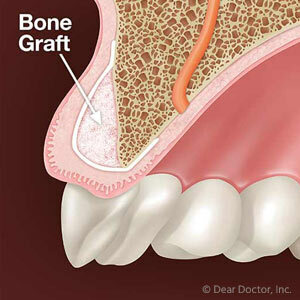 The implant is inserted into the jaw bone through a minor surgical procedure. 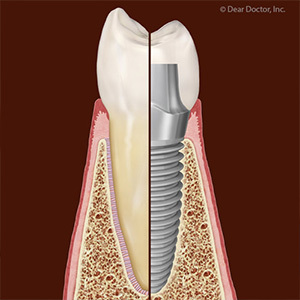 Eventually, the metal implant fuses with the bone, which makes it possible for the implant to securely hold a dental crown or bridgework in place permanently without risk of anything coming loose or slipping out of place. 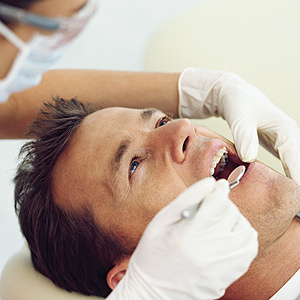 Dental implants offer several benefits. By filling in the gaps from missing teeth, dental implants give you back a full smile, restore normal biting and chewing functions, and alleviate extraneous wear and tear on surrounding teeth that had been compensating for missing ones. Dental implants also restore your natural face shape by providing support for sagging facial muscles. Additionally, dental implants can improve speech by correcting tongue placement when speaking, as gaps from missing teeth can affect tongue positioning. Restore your smile, as well as normal tooth functioning, with dental implants. To learn more about dental implants and how they can benefit you, schedule a consultation with Dr. Campbell, your White Lake, MI, general dentist, by calling the dental office at (248) 887-8387.